On the anniversary of the targeted bombardment of the building of the regional administration in Lugansk by Ukrainian military aircraft, causing civilian deaths, Tsargrad met with airman of the Air Forces of the Armed Forces of Ukraine (AFU). 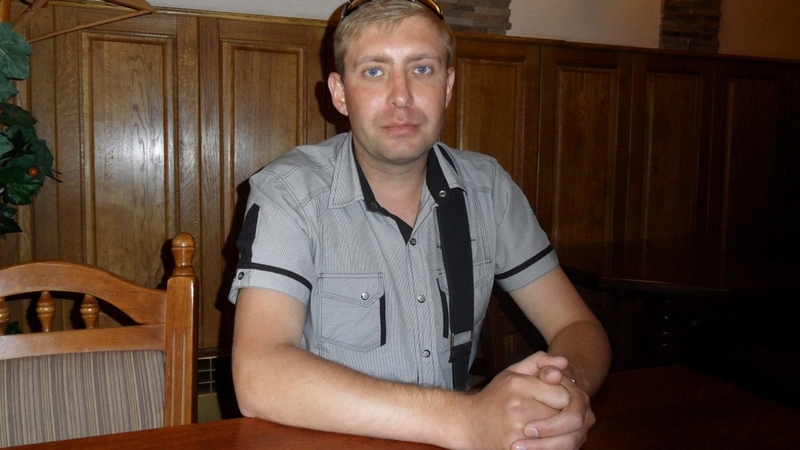 Watching combat aircraft flying to bomb Gorlovka, his hometown, First Lieutenant of the AFU Air Forces, Evgeni Volkov, decided to convey important information to the DPR, but he was seized by the Security Service of Ukraine (SSU) and sentenced to twelve years of imprisonment. While he had been staying in remand prison (SIZO), his colleagues and former classmates, with whom he studied at the Kharkov Air Force University, conveyed him a message both verbally and in writing that they regret not having shot and buried him. Ukrainian media competed in eager rivalry to create the image of a traitor Eugene Volkov. Those who were in solidarity with him, preferred to remain silent because if they had expressed support, they could have been placed in the cell next to him. A year and a half in SIZO: first torture, then, when the ICRC took control of the situation, he endured moral pressure. Then, a prison sentence for twelve years, and a high-security penal colony in Western Ukraine, where he, like a dangerous maniac, was kept in the sector of maximum security. Three and a half years behind bars, and then the exchange. 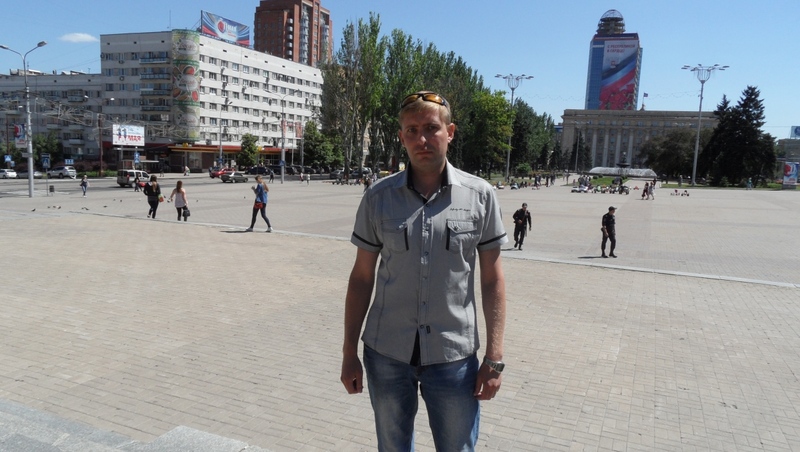 Now Volkov lives in Donetsk, he is getting documents issued because the Ukrainian side, having taken them during the detention, hasn’t given them back. The man does not regret what he did in 2014 when he became one of the representatives of Ukrainian aviation who opposed the system that used combat aircraft against peaceful cities and villages. Tsargrad: What did you do at the time when the ATO started? Eugene Volkov: I flew radio relay aircraft, through which the combat aviation works. By that time the DPR militia had destroyed key divisions that controlled the combat aviation of Ukraine – they were blocked in Avdeevka, Lugansk and Mariupol. Therefore, the Ukrainian headquarters feared that their orders simply would not reach the units, for which radio-relay stations operated. During the radio communication, I heard how civilian cars with food were bombed. The pilot reported on the destruction of checkpoints and automobiles. He said that he observed a column of bread trucks, and he was ordered to bombard the transport. And nobody cared what kind of cars they were, who were inside them, what they were transporting. At the same time, the command concealed that many aircrafts had been shot down. Ts. : Why this had happened? Was it because they didn’t expect armed resistance? Е.V. : During the first three months of the war, about ten helicopters, six or seven aircraft were shot down. Yes, Ukraine did not expect that Donbass would resist. Before the war, the preparation of the pilots was very weak. They flew mainly in the area of their airfields, practised piloting there, they almost never flew out. When the fighting began, and the planes and helicopters began to fall down, the pilots realized that their professional skills were rather poor. But the pilots were to very well motivated with salaries and ranks. Many wanted to get a new rank, so they flew and bombed. Ts. : Didn’t anyone try to refuse to carry out those criminal orders? Е.V. : Quite a lot of people did not support the coup, but when they began to demonstratively put people in prison, and dismiss for cause if someone refused to obey the order… Yes, there were cases when people did not want to fly there and bomb, they realized what they were doing, but they were pressured by the risk of imprisonment or dismissal. Ts. : But you, unlike many other people, found the courage to resist the junta? Е.V. : I was born in Gorlovka. And when you sit in front of the monitor and watch the plane flying toward Gorlovka, where my relatives live … And then you turn on the TV and they show how the aviation hit separatists who were in the Gorlovka District Department of the Interior… But, excuse me, it was your people. You abandoned it and then decided to destroy it! That is, no matter what separatists were there, they are people, after all, should they be attacked with bombs? Nobody at that time proposed a peaceful settlement of the conflict – they immediately deployed the army and came here to simply destroy. When they say that Russian troops are here – it sounds ridiculous. Especially when you meet guys from the militia, who used to work in the mine, and now protect their land, their home. Ts. : So, what did you start doing to stop killing Donbass people? Е.V. : One day I decided to go to Donetsk. I had a radio record and some documents with. But I could not get to the destination. The special services, as it turned out, followed me. In Zaporozhye, I was arrested. They obtained my confession, they are good at it. The investigation continued for a year and a half. First, they used torture, after the International Committee of the Red Cross took control of the prisoners, they stopped it. Then, I was sentenced to twelve years of imprisonment. Ts. : What are the detention conditions in Ukrainian prisons? Е.V. : They don’t put people like me to the same cell, they put us to different ones and once a month they change it, so as to avoid agitation from our side. I was also placed in solitary confinement cell. When the verdict came into force, I was sent to Western Ukraine to a special regime camp. Despite the fact it was strengthened itself, there was a sector of maximum security, where, mostly, people who opposed the Ukrainian authorities due to differing political view were kept. We were kept in the cells for two people. We didn’t intersect criminals, this world is absolutely apolitical. We tried to stay out of their lives, they did not touch us. I have served three and a half years, and on December 27 I fell under the exchange of prisoners. Now I live in Donetsk, I’m formalizing new documents: my old ones were withdrawn during apprehension, and they haven’t been returned to me. Ts. : Would you like to return to aviation? Е.V. : Of course. But not to the one I worked for. Ts. : What’s your opinion on the recent SSU military exercise, when combat aircraft were in the sky over Donbass. Do you think the Ukrainian army can use them against the DPR and the LPR? Е.V. : The experience of usage of aviation in Donbass proved its inefficiency. The soldiers here are prepared to fight with it, they already know what it is. I think it will be difficult for them to make such a decision. The recent exercises, in my opinion, were more a psychological manoeuvre on their part to demonstrate that they have something that still can fly. But they are unlikely to decide on the use of combat aircraft. Unless they do a carpet bombing, using everything they have at once – kind of Pearl Harbor, sparing neither aircraft nor crews.